This is one of our most exciting trips of the year as we’re spicing up our annual DPRK Grand National Day Tour! We’ll not only be heading into Pyongyang for the massive National Day celebrations, we’ll then be making our way well off the beaten track by jumping aboard an Air Koryo domestic flight to the far north east of Korea to the infamous city of Chongjin. We’ll explore the largely rural province of North Hamgyong and spend a highlight evening with a Korean family near the spectacular Mt Chilbo. During our tour in Pyongyang we’ll be visiting the Kim Il Sung Square, stopping by a local fun fair, exploring the deep Pyongyang Metro, visiting the Mausoleum where Kim Il Sung and Kim Jong Il lay in state, checking out the War Museum, heading down to the DMZ and much much more! On National Day we’ll visit Moran Hill which is extremely popular for the locals to gather for BBQs, singing and lots of dancing! We will be taking part in every facet of the celebration process including the fireworks, mass dancing and other surprises along our way! After the party finishes in Pyongyang, we’ll board our flight to Orang Airport located in the deep rural areas of the DPRK. We’ll spend our first night up in Chongjin city, after which we’ll then head down towards Mt. Chilbo, one of the very sacred and beautiful mountains in Korea. Here we’ll be able to meet, play, eat and stay overnight with a DPRKorean family. During the end of our tour we’ll head up towards Gyongsong city, a small city most famous for its mineral spa waters, before boarding a flight back to Pyongyang then finishing up back in Beijing by train or Air Koryo flight. Don’t waste this perfect opportunity to explore a part of Korea that’s mostly forgotten by tourists while also joining us for all the festivities! Flight takers depart Beijing Airport Terminal 2 on Air Koryo at 2:05pm (meet group at Air Koryo check in counter). Train group arrive at 5:00pm to an equally warm welcome. Saturday 9th September – National Day! Walk to Moran Hill to watch families and friends gather for picnic lunches along the hillside. Here we will have opportunities to take great photos and to even join in on the dancing! 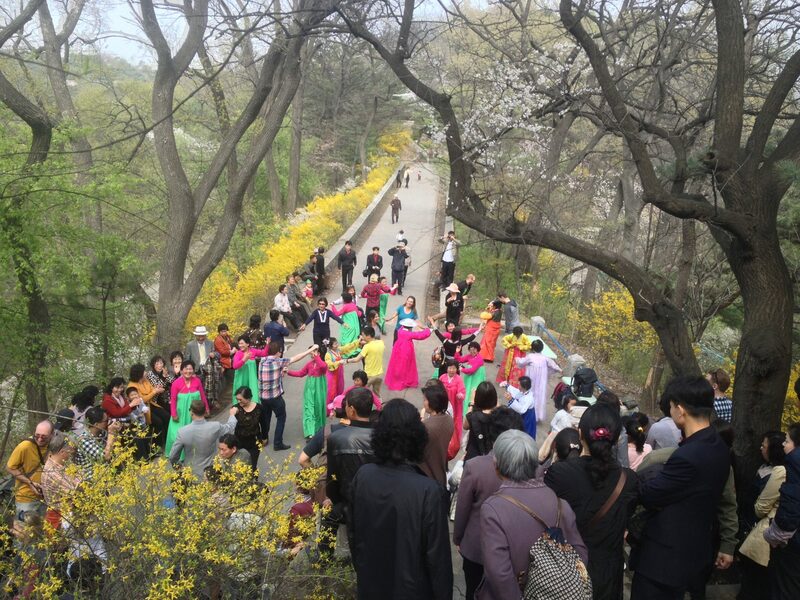 Drop by Sariwon City (Capital of North Hwanghae province) to walk in the local folkcustom park and view the city from the mountain top pagoda. Get back to Pyongyang for dinner at National restaurant with performance! Visit Mother Kim Jong Suk Middle School No. 1 – this school is famous for educating students wanting to be scientists or engineers. 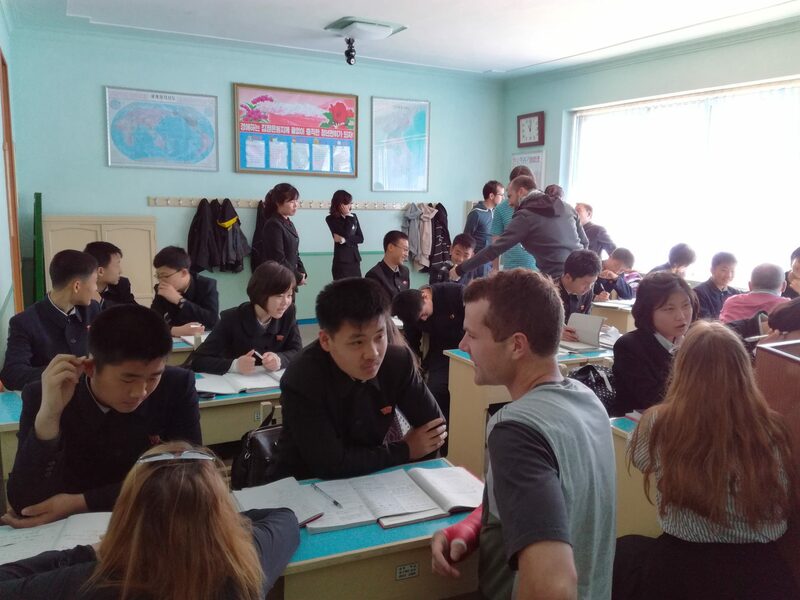 Their level of English is quite high so we help them by getting involved in their classes, doing introductions of ourselves and one on one activities with the students. 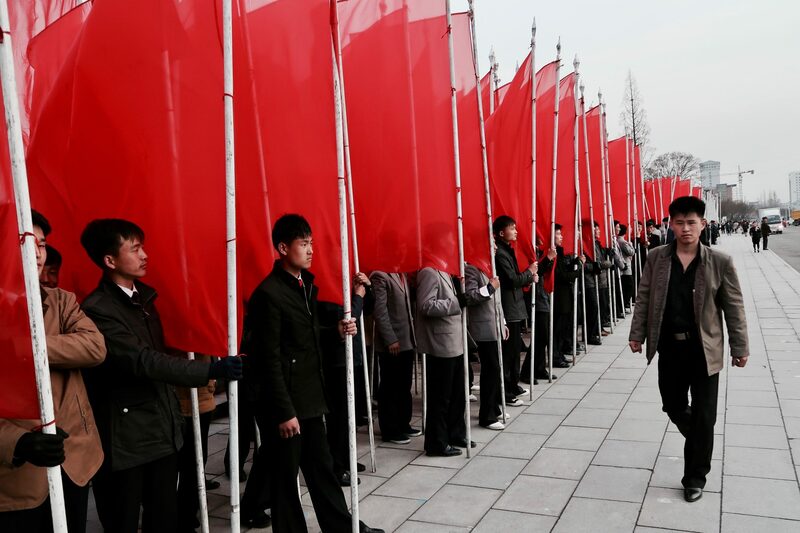 We’ve had previous YPT tourists say this is one of the best experiences they had in the DPRK. Visit Mansudae Art Studio – the nation’s most important art works and statues are created here. This is where we get to meet some of the local artists too. Stop by the Gold Lanes Bowling Alley in downtown Pyongyang to relax, mingle with the locals and enjoy a cold drink. Depart 9:00am at Pyongyang Airport on Air Koryo flight to Orang Airport (near Chongjin city) – this is one of few unique opportunities to fly Air Koryo domestically within the DPRK! Arrive at Orang Airport at 10:00am and drive onto Chongjin (2 hours) – Chongjin in DPRK’s third largest city and most famous for its steel industry. Visit the local Kim Chaek Steel Complex Kindergarten for a Children’s Performance – we can also bring some goodies for the kids here! Pay our respects to the newly erected statues of President Kim Il Sung and General Kim Jong Il. Arrive at the entrance to Mt Chilbo for an explanation of the area using the world’s largest mineral painting map as a guide. 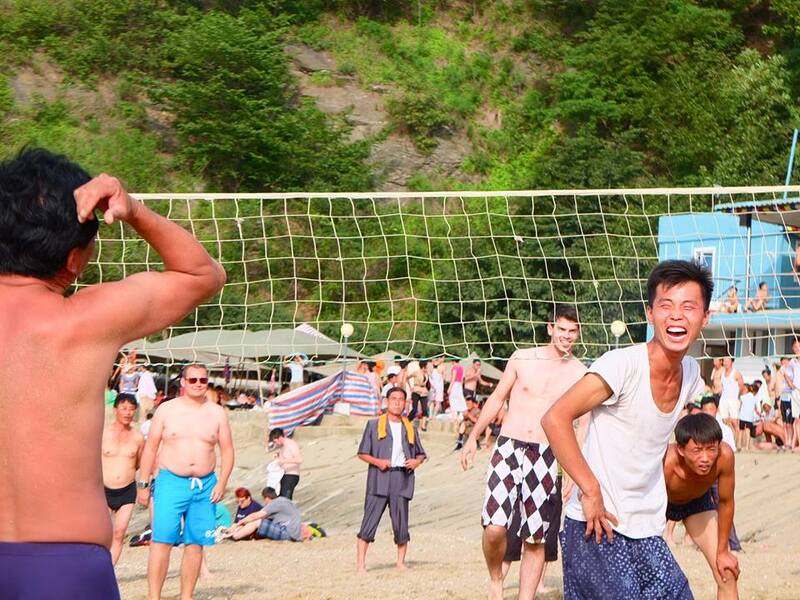 Volleyball match with the home stay village residents – they’re quite competitive! Drinks and snacks with the Home stay Chief and his family. Dinner at the Home stay village. Korean wrestling (Sirum or Ssireum) tournament with the villagers. Enjoy a hot mineral bath at the local bathhouse in Gyonsong city (30 RMB extra). Yombun revolutionary site- On the way we’ll stop at this beautiful scenic site named for being one of the first places on the East Coast where villagers discovered a new way to get sea salt despite the East sea being almost tideless. Visit the Three Revolutions Exhibition center – the exhibition primarily showcases the three primary fields of revolution – ideological, technical, and cultural. Overnight at the Sosan hotel to experience another hotel in Pyongyang! Flight members depart at 8:20am for Beijing on Air Koryo. (Arriving at 9:55am Beijing time). Train members depart at 9:55am for Beijing on train K28. 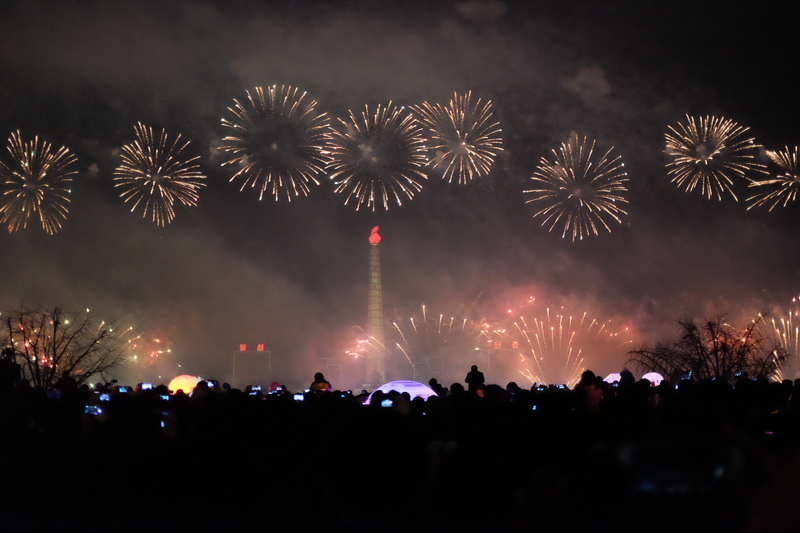 Special National Day events: These may include fireworks, mass dances or special performances.